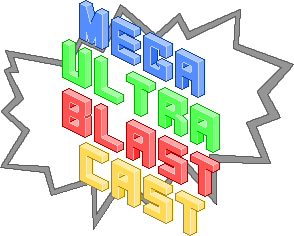 The Mega Ultra Blast Cast was hit by every podcaster’s worst nightmare this time around – Shane’s computer turned off halfway through recording and we lost everything. But because we’re professionals (well, not technically), we soldiered on and recorded again from the start to bring you this bumper episode. Listen to witness a battle royale between Shane and Delaney as they debate the pros and cons of the new Godzilla movie, as well as several tangents about Green Lantern, Grimlock and Gambit. We also talk about plenty of topical gaming news, such as the big Xbox One Kinect-less announcement, the big reveal of Far Cry 4 and Nintendo’s new figurine strategy. Plus, I’ve actually finished some games lately! If you feel so inclined, go for a run, take a scenic drive, jazz up your afternoon commute or just curl up on the couch and play some games while you listen to the opinions of three frustrated but determined Sydneysiders.